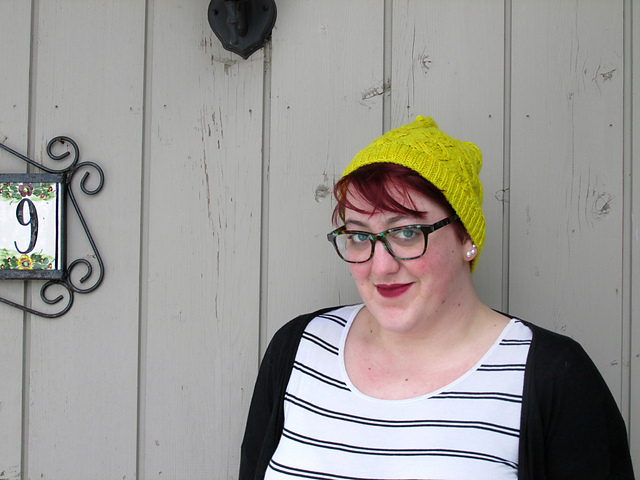 The Wayward Knitter: I've Got a Group! Is that? Could it be? A sleeve! 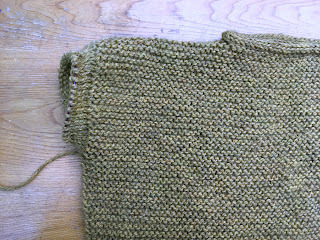 Yes indeed, my Easy A sample is moving along nicely/ Last night I finished the front, did the shoulder seams, did the applied i-cord to the neckline, added pockets, and picked up for the first sleeve. 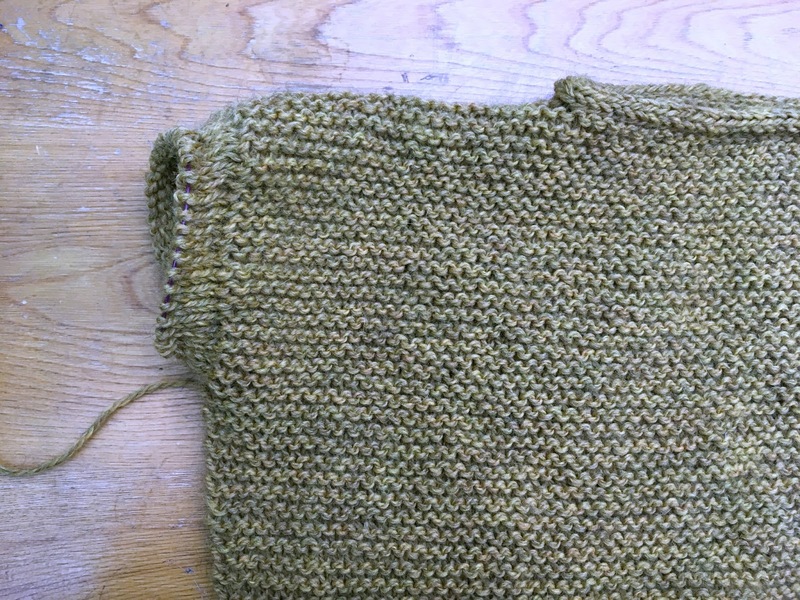 It's really starting to take shape and look like a sweater now. I'm hoping to get the first sleeve done this week, and then hopefully have this thing finished over the weekend. That might be a bit ambitious, but I'm ready to go back to my Jean Pullover for a while. I'm also hoping that the universe is paying attention and that once I finish this sweater it'll get cold so I can wear it. I know that's probably a pipe dream, but I am ready for fall NOW, darn it. In "news that I should have announced a few days ago but kept forgetting," I now have a Ravelry group! The link's in the right-side bar, with all my other social media links, so please come on over and join if you feel so inclined. There's a good group of people amassing so far, and I'd love to see you all over there too. I enjoy reading your blog, and now I have joined your Ravelry group.